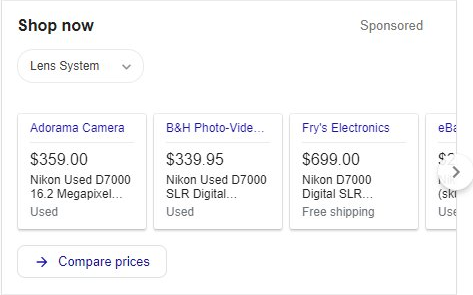 Google is testing a new large product based knowledge panel in their search results. 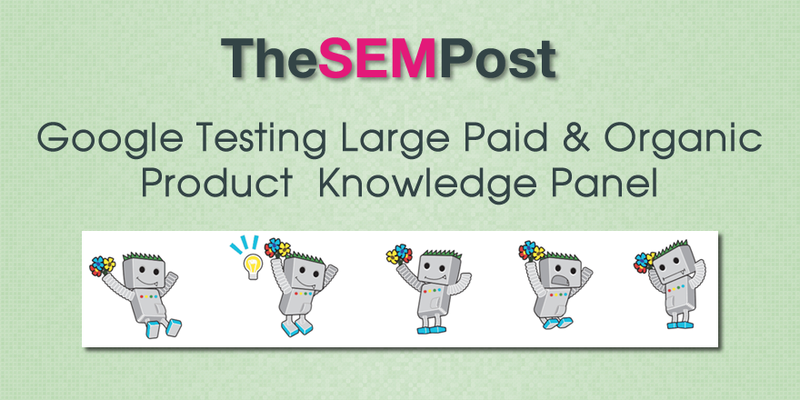 This new style is a cross between a product knowledge panel and a Product Listing Ad, something they first began testing several years ago, with a combination of both paid and organic search features included. Dr. Pete Meyers from Moz spotted the test. Here is the full screenshot, which is very lengthy and appears on the right side of the search results. Click for full screen. The paid portion of this panel is clearly labeled as sponsored, but also features a drop down to tailor the products listed, along with a new compare prices feature. It also includes numerous organic features such as videos, reviews, information and more. It is interesting to note that the selected videos for the knowledge panel are both six years old and are both from LinkedIn. But neither of the videos seen in the carousel are the ones shown in the organic search results video carousel in the organic search results, but are only seen once you scroll through the carousel. So there is a different ranking criteria to display the videos within the knowledge panel than the regular video search results algo. The details also appear to be pulled from the manufacturers website rather than from Wikipedia, as many knowledge panel results are. This also shows Google is clearly wanting to be the source for not just search results, but also for product search. Many searchers simply go to Amazon when looking for product information, rather than searching Google directly for the product. So this expanded knowledge panel for products seems to be trying to fill that niche for access to quick and easy information that Amazon often has readily available and which can also be extremely difficult to find on manufacturers websites.